FC Barcelona, an international reference point in the realm of social media, is taking part in the launch of a new video platform on Instagram, IGTV, with content created exclusively for the popular app. Barça's official Instagram account is one of the first in the world to post this type of content, doing it with a video that transports spectators to Camp Nou and offers them the same experience that fans get when they visit the Club’s facilities. 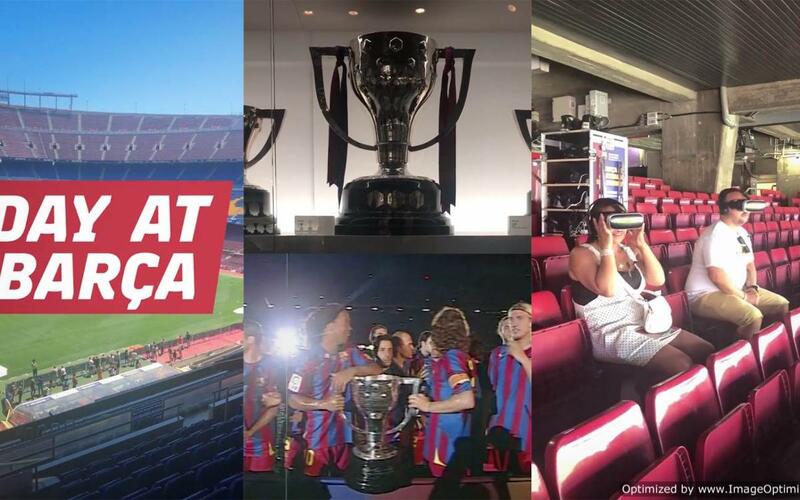 In its first post, Barça’s followers on Instagram can explore the main areas of the stadium, through the same route offered by the Camp Nou Experience tour. Over seven minutes, and in a format that combines a selfie video with descriptive and emotional storytelling, Barça’s Instagrammers can immerse themselves in the stadium’s trophy room, where they get an up close look at Lionel Messi’s five Ballon d’Or awards, followed by a walk down to the field of play. In the world of sports, FC Barcelona Is a leading player on Instagram, where it has more than 57 million followers. But beyond its community on the popular photo and video sharing platform, Barça stands out for its ability to rouse the interest of football fans around the world. In fact, in January 2018, Barça’s posts on Instagram generated just shy of 123 million engagements, tops in the world of football during the 2017/18 season. IGTV is a new area for Instagram in which content creators and users can upload videos up to an hour in length (until now, videos were limited to one minute in duration), to share with their fans. Additionally, this is the first time a social network has committed to the creation of audio-visual content in vertical format with the hopes of fomenting consumption of that content on mobile phones, especially among the youngest segment of users. This new, longer content can be found under the “explore” tab.